We’ll be back in 2019. Until then? Sign up below for updates and you’ll get a free 12 page e-book with worksheets to get you in the right mindset to establish a CONSISTENT dance practice + more awesome resources over the next year! When you’re first starting out you’re so focused on your posture and trying to make your body do what seems to be impossible things. And don’t even get me started on keeping that shimmy consistent. You KNOW what you need to practice and it’s easy to find the drills and resources to do so in your local classes. But as you start to feel less like a doll, and you settle into this new dance form, so many other avenues of exploration come up in your practice. Now you begin to study more about history, music, culture. You begin to focus more and more on the technique behind basic moves as you attempt to trick your brain into allowing you to do two things simultaneously. Then your teachers ask you to add in props. Swinging canes, balancing swords, playing zills, and keeping a veil afloat, all while doing your best to layer moves, smile, and remember that choreography. It never ends! No matter how far along in your dance journey you go there’s ALWAYS more to learn. And it’s always hard to decide what to focus on in your practice. Or to practice outside of class. Building a consistent dance practice is hard. And then finding the resources to learn, especially when you’ve got a job, a family, and other responsibilities makes it almost impossible. We’re Here to make that part easier. A bundle of amazing bellydance products from dancers around the world. All online, all at your own pace. 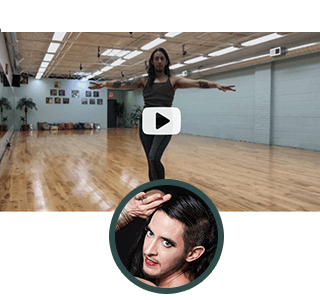 Touching on so many of the core skills needed as a dancer, this bundle will provide you with hours of practice material, both in the studio, and on the couch. Read about the history of our dance, then get up and practice that new choreography. It’s all here, in one easy to access place, at an incredible price. And even better? It comes with accountability and community built right in. The sale is over for 2018. Below were the contributors included in 2018, let us know who you would like to see back in 2019!! Suhaila Salimpour is a highly-acclaimed belly dance performer, teacher, and choreographer. 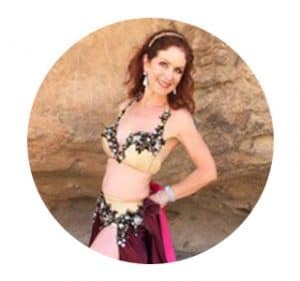 After working as a professional belly dance performer in the Middle East for over 10 years, she established her school and certification program in the United States in the late 1990s where her revolutionary technique has elevated belly dance practice and performance. Her technique and methods are now used by dancers in all stylizations, and the Salimpour School is one of the most respected and influential schools of belly dance in the world. With 58+ years assimilating /performing/ teaching MENAT dances internationally, Morocco has received numerous awards & accolades in her field. 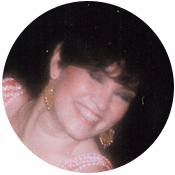 She is also a published author with her two books, “You Asked Aunt Rocky: Answers & Advice About Raqs Sharqi & Raqs Shaabi” & “The Fundamental Movement Vocabulary of Raqs Sharqi (Oriental Dance)”. Morocco directed /choreographed for her dance company, Morocco & the Casbah Dance Experience, for over 32 years. Her articles have been published internationally since 1965. 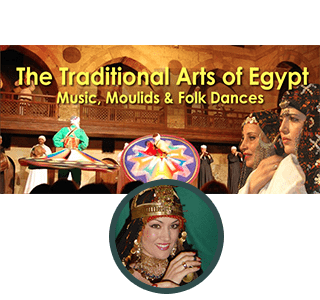 With a Master’s in Dance Ethnology, Sahra has devoted her life to the study of the dances of Egypt and has been either living, or traveling to Egypt to research for over 30 years.Currently, she presents her findings through Journey Through Egypt, an intensive study course spanning 4 levels that is taught all over the world. Expanding into the online space, Sahra hopes to bring her knowledge to even more dancers around the globe. Keti Sharif resided in Egypt for 15 years, where she documented various forms of traditional cultural arts, music and dance, as well as the work of Egyptian artists including Farida Fahmy, Mahmoud Reda and Dr Shahira Mehrez. Her film-making and dance interests merge through the exploration of cultural patterns and motifs. 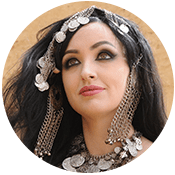 Keti is the creator of A-Z Bellydance, based on raw Egyptian music and rhythms, and she currently hosts 100% Live Music events for dancers in Cairo, Egypt. 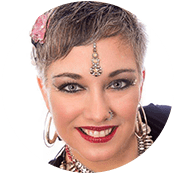 Deb is an internationally-acclaimed performer & teacher of tribal fusion belly dance, a yoga teacher, bodyworker, and women’s health coach. Deb teaches workshops, retreats, and trainings around the world fusing Tribal Fusion Belly Dance, Performance Artistry, & Therapeutics. 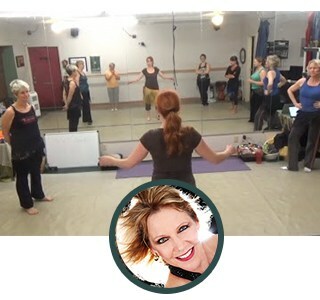 She is the director of Project Merkaba Dance Co, and creator of Dance Therapeutics training and certification programs. Sabriye Tekbilek is a performer and instructor of Middle Eastern Dance whose stage presence and technique have been shaped by a lifetime of international performance and study. 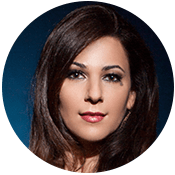 In addition to being contracted at the prestigious Semiramis Intercontinental in Cairo and touring extensively, she is one of only a handful of teachers who can teach and certify dancers in the Salimpour Formats. In 2016 she opened a Salimpour School of Dance in Stockholm, Sweden. It is the first and only Salimpour School outside of the US. 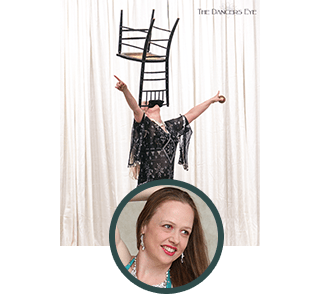 Amanda Rose is an internationally acclaimed instructor and performer based in Barcelona, Spain, currently finishing a Masters of Dance Movement Therapy. 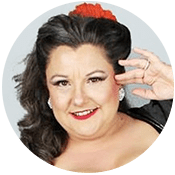 She has received wide recognition for Amanda Rose Online, offering online class series, intensives, private lessons, choreography critiques, coaching and comprehensive personal feedback. Focusing largely on more advanced class material, her students from around the world enjoy classes that provide clear and detailed instruction while being insightful and in-depth on a variety of topics. 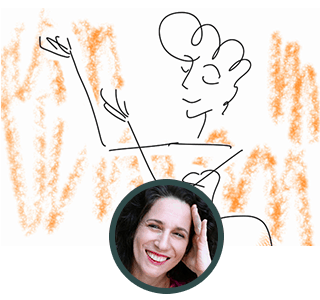 Alia Thabit, a Levantine-American dance artist, writer, and teacher, celebrates belly dance’s cultural ideals of feeling, playfulness, and joy. An international and online instructor with decades of experience, Alia believes that each of us is filled with our own unique beauty and magic, a treasure waiting to be found. Come find your treasure. Nadira Jamal, The Belly Dance Geek, believes that you are the boss of your own dance. Instead of feeding you moves and choreography to copy, she geeks out on how the dance works, so you can create it for yourself. If you think knowledge and creativity go together like chocolate and peanut butter, you’re in the right place! Shahrzad is a professional teacher and performer specializing in Egyptian modern and Folkloric dance styles. Since the age of 11 her life has revolved around researching, learning, and sharing the amazing art of belly dance. She currently splits her time living and performing in Cairo and touring the world to teach workshops. Sahira has studied music, drama, and dance since the age of two. Her training as a classical flautist and her background in Egyptian, Tribal, Modern, and West African dance gives her performances musicality and energy that captivates audiences. She is known for her theatricality and acapella zill work. She has taught and performed across the USA as well as Mexico, Indonesia, Australia, Germany, Canada, and Taiwan. In 2006 she had the honor of being the first tribal instructor ever invited to teach at the largest belly dance festival in the world in Cairo, Egypt. Iana Komarnytska is an award-winning dancer based in Toronto, Canada, specializing in belly dance, Turkish Romani, and Persian dance styles. Her multiple awards include Star Bellydancer Canada 2014, and International Dance Competition Cairo by Cyprus 2015. Iana is a graduate from professional dance program of York University, as well as the first choreographer using Triple Isis wings (since 2012). Her other projects include Belly Dance Life podcast, Iana Dance blog, music & dance group Blue Dot Ensemble, and others. 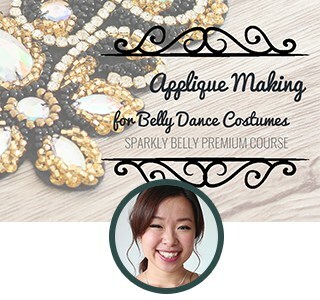 The brilliant creator behind The Sparkly Belly, your one stop shop for learning how to make (and fix) your own costumes! From beginner classes on sewing to detailed step by step courses on creating your own Dina style sets, Mao has something for all levels of skill! And you’ll learn it all while making beautiful costumes custom fitted to your curves. 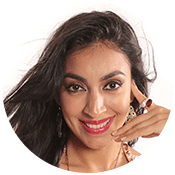 Mahin is a performer and traveling workshop instructor, combining her 20 years of study in Middle Eastern dance with an academic background in Exercise Science. 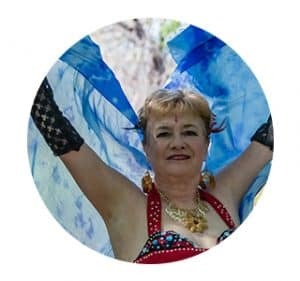 She is the publisher of the internationally-acclaimed “Bellydance Quickies” since 2010 and owner of One World Dance & Music Studio in Phoenix, AZ. 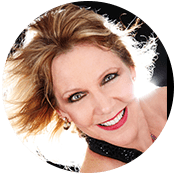 Terri Allread has 25 years of small business and consulting experience that she uses to help dancers reach their business goals. 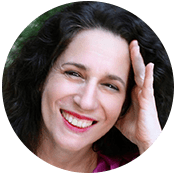 In addition to owning the Belly Dance Business Academy (BDBA), Terri also owns Third Eye Tribal, produces ATS® Homecoming/ATS® Reunion and Producer of the Women and Spirituality Conference and is a published author. 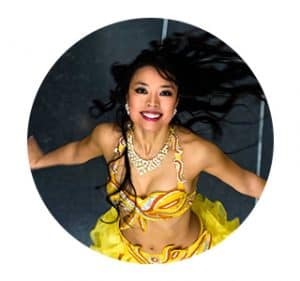 A dedicated teacher and an elegant performer, Rosa’s singular style of belly dance is influenced by her ballet background and years of study of Egyptian dance. Known for her classical lines and friendly approach, Rosa delights students and audiences alike. 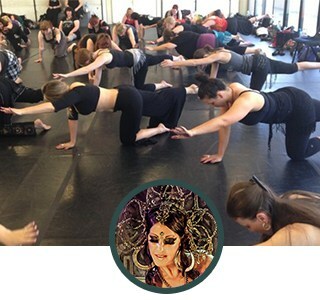 In addition to being an in-demand workshop instructor nationwide, Rosa teaches weekly classes in adult ballet and belly dance at Grace Academy in Portland, Maine. Kamrah is a teacher and performer of multiple styles of belly dance. He is known for his killer isolations, creativity, and theatrical pieces, and has produced his own instructional DVD, Killer Isolations. He has taught and performed all over the US, and is dedicated to the safe and effective practice of belly dance. His knowledge as a scientist and training in martial arts and massage therapy informs his teaching and his own practice. 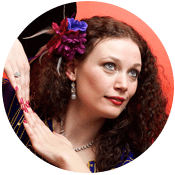 Carrie Meyer began dancing in 2001, since, she has learned traditional Egyptian, ATS and Fusion, and has danced in groups that have featured all these styles. 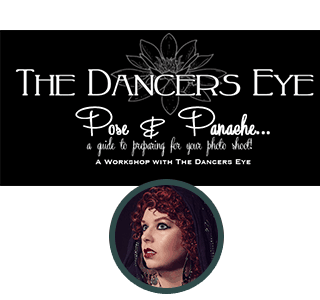 Having married her love of belly dance with her love of photography, Carrie offers her dancer subjects a unique opportunity to work with an artist who truly understands and loves the dance, and how dancers want themselves to be portrayed. Learn more about The Daner’s Eye here. Sara Shrapnell is the writer of two major belly dance books. “Teaching Belly Dance”, the book about setting up, planning, teaching and enjoying belly dance classes. “Becoming a Belly Dancer: From student to stage”, the stagecraft handbook for belly dancers. 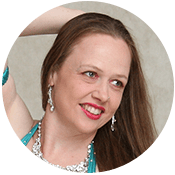 She has taught over 5,000 belly dance lessons, and continues to offer classes and mentor both in person, on-line and through The Belly Dance Business Academy. Find out more about Sara here! 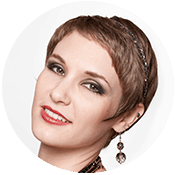 Nara has been teaching dance for over 10 years in locations all over the world. Originally from Philadelphia PA, USA., she has been fortunate enough to travel and bring her love of dance to the world. Her background in education and anatomy bring new techniques to her workshops and online classes. Nara currently performs in and around London and is an instructor for the Belly Dance Business Academy. Amity Alize has studied Middle Eastern and Oriental Dances since 2001. 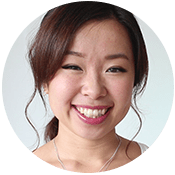 Focusing on tying the folkloric and modern styles together through her own research, she travels internationally studying dance on an ongoing basis. Her mission is to empower others to step out of their boxes, increase their self-esteem and positive self-image, live through the music, and most of all, just have fun and be authentically themselves. 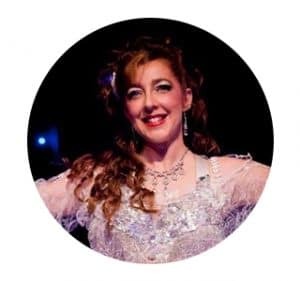 Jennifer is an internationally renowned multi-award winning artist (including the title of Bellydancer of the World 2013), instructor and, author. She is well-known for her creativity, charisma and abdominal feats that she proudly displays in every performance. Click here to learn more about Jennifer! Nisaa (Heather D. Ward) is a Middle Eastern dance instructor, performer, and researcher. As a researcher, Nisaa’s primary area of concentration is the transition from awalim and ghawazi dance styles to classical raqs sharqi at the turn of the 19th/20th centuries in Egypt. She has completed a book on this subject, Egyptian Belly Dance in Transition: The Raqs Sharqi Revolution, 1890-1930. Shimmy Set Glow is a collaboration between Omega Bellydance, Erin Grundel, and the Bundle’s own Tiffany! They wish to help dancers with their confidence, reduce the stress that can come with not knowing how to do your makeup, and ensure that all the hard work that goes into preparing for a performance is seen. Because if people can’t see your expression, does it even count? These products were included in the 2018 Bellydance Bundle, which is no longer for sale. Do you know of a great product for the 2019 sale? Use the contact form to tell us all about it! The Salimpour School has trained belly dancers since the late 1940s. From the start, our focus has been to develop the most highly trained and well-rounded dancers. Good for any level, our website offers over 300 class videos and training tools to help you maintain and develop your training. Package includes a one month free trial with unlimited classes. Three Level 1 Drill Breaks: You will drill movements layered with various foot patterns. Once you’ve mastered the material, reuse the Drill Break by simply switching the downbeats of the singles or the foot patterns. . . or add finger cymbals. Includes Singles, Three Quarters, and Twists. Morocco will be presenting 2 lectures live for our buyers: “Dance As Community Identity in Selected Berber Nations of Morocco” & “Folklore & Fakelore: Learning, Performing & Preserving Dance Traditions”. Recordings will be available. Dates TBA. As a bonus you will also recieve limited access to the “Dancing the Night Away Under the Stars” award-winning documentary. 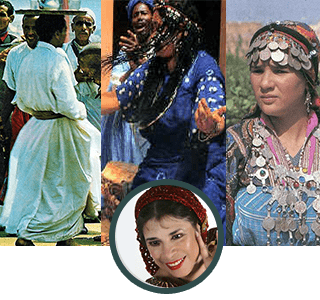 There are over 200 different Amazighen (Berber) nations in Morocco & dance is an integral part of their community identity. Mostly filmed at the fabulous Marrakesh Folk Festival, the participants are “real” people, sharing an important part of their lives at the invitation of the former ruler of Morocco, King Hassan II. Indulge your inner dance nerd with this scholarly & practical two-part workshop for dancers, centered on performer confidence & the evaluative processes of their audiences. You’ll leave with a better understanding of how you may be seen by your audiences, & a “cognitive checklist” to apply to your creative work to enhance your chances of making a great impression. This slides + discussion workshop will be offered in 2 parts, across 2 different live time slots in October, to accommodate dancers in different locations, & will come with worksheets to apply the concepts to your own dance work. Recordings will be available! Journey Through Egypt has been taught for over a decade, with the 80th graduating class happening this year. 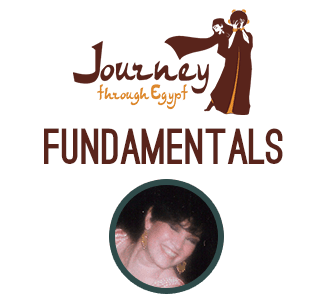 To celebrate, we’ve distilled the fundamentals of the Journey Through Egypt methodology into this self-paced online course. This course takes you through the fundamental concepts behind the Journey Through Egypt methodology. You’ll learn about the tables, about the regions, and see an example of applying it to one of the regions of Egypt. The Traditional Arts of Egypt is an educational resource consisting of over an hour video seminar and a 30-page ebook. It culminates Keti’s 20+ years of research of Egyptian arts and aims to bring aspects of Egyptian culture, history & the arts into perspective. Topics include Egyptian History, Moulids, Siwa Oasis, Dakhla, Al Arish, Marsa Matruh, Aysyut, El Saiid, Tahtib, Cairo, Baladi, Music, Milayah Laff, Muwashahat, Alexandria, Port Said, Ghawazee, Fallahin- Fayum, Nubia, Zaar, Textiles, Architecture, Arabic Script. Includes rare footage and images of traditional costumes and artifacts. In this sampler pack you’ll get my 3 part Elegant Arms series, a traveling shimmies technique and combos class, my favorite slow flow Yoga, and Slow Flow serpentine slink classes to help you embody the goddess within and learn the balance between muscular control and fluidity in your dance. No matter what style of belly dance you do, you can always take your artistry to the next level with intentional, elegant armwork, refined muscular isolations, shimmies, traveling steps, and Yoga. Digital Download. The album’s title track Sabriye Miye Miye means 100% Sabriye and is an entrance piece composed for her in Egypt. When recording the album Sabriye chose her favorite songs to dance to then polled dancers to see if they preferred the songs with or without lyrics and the overwhelming answer was both! So the album became a double album offering songs with lyrics and instrumental versions as well. This is the perfect tool to use when practicing or performing as it inspires and enriches any performance. 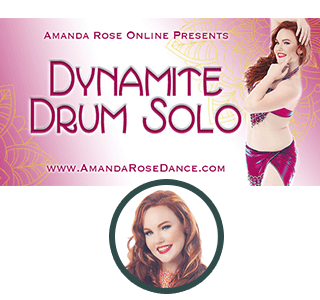 In this series, Amanda Rose will teach a high powered drum solo full of locks and pops, shimmies, attitude & more attitude! Known for her precision technique, complex combos, & dynamic layering musicality, you’ll explore this advanced level Amanda Rose Online series with access to 4 full-length classes. Each class will break down drills, technique & a different section to piece together a complete choreography. By the end, you will have learned an entire drum solo that you can perform, practice or use as inspiration for your own material. 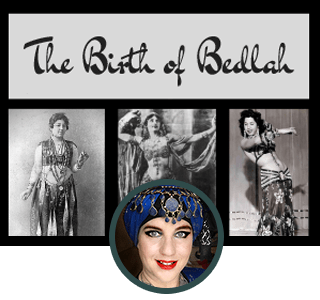 “The Birth of Bedlah” is one of Davina’s most popular workshops in digital form. We will trace the early years of belly dance costume development from the 1890’s through the early 1940’s. With access to hundreds of photographs, illustrations, and diagrams all providing the visual documentation that allows us to trace the early development of the iconic three-piece professional belly dance costume. This slide lecture is accompanied by an illustrated printable handout. Belly dance is all about expressing the music–but how do you do that when it doesn’t even make sense? In this course, students will learn musical structure; explore rhythm, melody, and phrasing; and practice improvisational templates so they can bask in joyous expression. Lessons include: Demystifying the Music, Understanding Rhythmic Structure, Dancing on the Melody, Interpretation and Texture, Using Combo Templates, and How to Float and Land. Each week includes conceptual breakdowns, musical assignments and a dance études, along with video examples, handouts, and song suggestions. Does trying to improvise feel like jumping in the deep end of the pool? This toolkit uses practical exercises to help you learn the specific skills you need to improvise with confidence. Volume 1 covers how to access your movement vocabulary in the moment, and volume 2 covers how to structure your dance on the fly instead of scribbling. You’ll also get these premium package bonuses which include “Expression in Improv” video and “The Vol. 2 Study Guide” which has extra exercises to help you get the most out of the program. 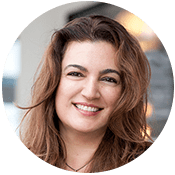 Shahrzad‘s contribution to the bundle is a coupon for up to 4 classes from her online Powhow studio (valued at up to $60). Choose between a number of video classes on technique, musicality, combinations, and choreography. The technique covered in these videos include hair movements, chest drops and variations, unique hip accents on top of circles and weight shifts, and a variety of unusual moving shimmies. Inta Omri Sword Choreography We will learn the basics of balancing a sword on our head, work on strengthening our leg muscles for floor work and dance fluidly while balancing. Khidni Habibi Fan Veil Choreography This choreography will include a variety of tricks, flutters, swooshes, spins and turns and makes a great show opener. Zillicious Learn to count like a musician, identify major belly dance rhythms, and play your finger cymbals like a pro! Do you want to learn Turkish Romani dance, but nobody teaches this style in your city? There is a solution! Learn with these VIDEO classes from your own home! Five hours of detailed explanations and drills, from very basic to advanced combos! The class is designed to introduce Turkish Roma dance technique in a clear and safe manner and becomes more layered and varied as the classes progress. Iana provides detailed explanations of the basic movements to ensure a good technique foundation before moving to more complicated combinations. Learning Techniques gleaned from working with Live Music. Videos include an Advanced Technical Drills class, a Musicality exercise to a Rolling Stones song AND a Fadl Shakr song, a workshop entitled “24 Characteristics to Consider in Your Drum Solo”, and more!!!! Learn everything you need to know about making beaded appliques, and create beautiful appliques to show off on your costumes at the next show! In this premium course, you’ll get many applique design ideas (including quick ones for those last minute costumes! ), learn professional-looking beading techniques, and know exactly how many beads to buy and where to buy them! Master high end applique making without spending high end price. Everything is explained step by step. Open to beginners! Thrills with Zills: YES, You Can! Can you dance OR play your zills, but get frustrated by trying to combine them? Or does just the thought of playing make you nervous? This 8-week course takes you from fear to freedom, one step at a time. You will learn to integrate playing and dancing with 4 common rhythms, giving you a solid base of confidence with finger cymbals. 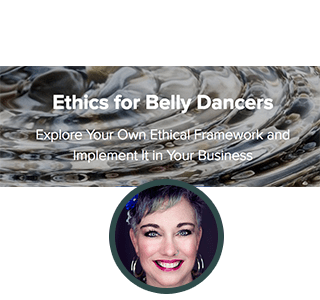 In this workshop, we will learn what type of ethical framework we primarily use for decision making, explore the concept of dual relationships and how it relates to us in the belly dance field, learn about boundaries and explore our own personal boundaries in multiple relationships, identify our own belief system to apply it to ethical decision making, investigate our community’s belief systems, and create an ethical plan to use as a roadmap for making business decisions. Improve your lines, your balance, and your stamina with these classical ballet exercises. Rosa’s detailed instruction will help you master these skills safely, no ballet experience needed. You’ll learn four different exercises that will impact your dancing from the ground up. Watch the video all the way through, or easily jump to different sections to repeat the information and practice. Learn from Kamrah with his Patreon sampler bundle! Included is a little bit of everything he offers for his patrons. Read the entire blog series “How to Put on a Good Show” (all NINE posts), brush up on your arm work with an arm drill mini-class, learn an ooey-gooey fusion combo, and glitter up with a makeup tutorial. I am often asked by dancers “What do I need to do to be prepared for a photo shoot?” We will cover identifying what you want and NEED from your photo shoot, communicating with your photographer, planning costuming, props and details, what you should have with you at a shoot, what happens at the shoot itself, action shots vs. “posed” shots, and live Q & A to answer all your questions! PDF version. This book is all about setting up, planning, teaching and enjoying belly dance classes. It is everything you need to set up your belly dance classes, promote yourself as a teacher, plan interesting semesters and lessons, understand your students aims, provide useful critique, teach to a variety of learning styles, and organize your own events and troupe. 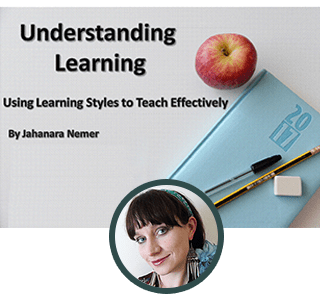 The goal of this course is to introduce the 7 styles of learning and how to use them effectively in your own classes. As teachers, we use many of the styles already by identifying these styles and filling in any gaps, our goal is to make you a better, more effective teacher. This course includes videos, worksheets and a live question/answer session with Nara. What do googly eyes, cannolis, and smiley faces have to do with Belly Dance? 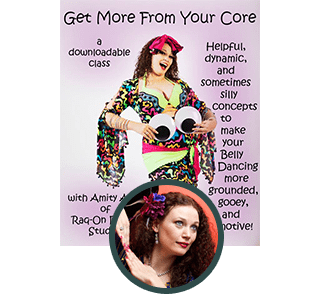 This downloadable Belly Dance class is full of helpful, dynamic, and sometimes silly concepts to make your Belly Dancing more grounded, gooey, and emotive! Level: Dancers with at least some previous Belly Dance Experience. You can avoid injury, soreness, and many more common dance issues if you simply do what is necessary to care and maintain your body. In this video, we will cover an effective method to warm up, release knots, lessen aches and pains and learn how to care for your body as a dancer from the feet up using a roller. A MUST-SEE for any serious dancer! It’s Time for the Feats of Strength! A History of Floorwork and Prop Balancing in Egyptian Belly Dance.In this lecture, Nisaa provides an overview of the history of these spectacular acts in Egyptian Bellydance– ranging from descending to the floor in the splits, to balancing chairs in the teeth – spanning a period from the dawn of the nineteenth century to the present day. Shimmy Set Glow is debuting their business here with The Bellydance Bundle and we couldn’t be more excited. In this course, you’ll learn the basics of making sure that your makeup doesn’t run, no matter how sweaty you get! From the bottom up, Omega goes through the steps to make sure that you’re using the right products, in the right order to make sure that your makeup stays on. Whether you’re dancing outside, or just raqing your way through an intensive dance performance, these are valuable tips for any dancer! We’ll be setting up a private Facebook group for buyers & contributors after the sale. You’ll be able to interact with other dancers going through the bundle, and ask contributors any questions you might have as you move through the content. There will be challenges, group activities, accountability, and that wonderful sense of community that we all love! Work together to create consistent dance practices and move all of our dances forward! <a name=”**”></a>Note: This is a drama free zone. All genders, styles, shapes, and opinions are welcome. Respect is the name of the game and any bashing will result in removal. This is a bonus item to the Bundle, and we reserve the right to make it a safe space for everyone. I have been highly impressed and inspired by the variety and quality of the offerings in the Bellydance Bundle. I’ve really enjoyed slowly working through trainings in dancing (of several different styles) history/culture, and even costume making! The Bundle is certainly a treasure trove! The Bundle was a great way to get a lot of useful information on a lot of different facets of the dance. I also enjoyed the way it created a broader sense of dance community, beyond my local ‘scene.’ I will definitely participate as a purchaser again! I really enjoyed the Bellydance Bundle. It had lots of variety. I’m at a stage in my dance career where I’m now looking for ‘more’ in my dance and being exposed to so many different things through the Bundle has definitely helped. 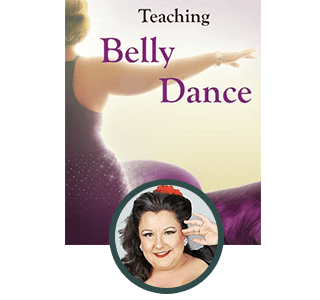 I really enjoyed getting a wide variety of courses, books and teachers from the 2017 Bellydance Bundle. I made use of a lot of the courses, even a few I wasn’t sure I was going to use! Loved the variety of things that the bundle had to offer. Didn’t use everything but had more than enough to keep me busy learning! This year we did something extra special. (Self-esteem, Empowerment, and Education Through Dance). The SEEDS program is an after-school program established in 2001 by Myra Krien. The program aims to assist young women through a journey of self-discovery, self-actualization, and prepares young women for independence through the vehicle of dance. The program accepts 25 teen girls in the Santa Fe community for one academic year of after-school classes, 1 1/2 hours each, three times per week where they learn the elements of ATS®, journal, and participate in talking circles and sharing. Entrance to the program does not depend on demonstrated talent, standard beauty, or the ability to pay the fees the program would require. You can read more about the SEEDS program here and if you are interested in donating to SEEDS directly (they could use your support) please visit their donation page. At least 9$ of every sale went towards these endeavors as we aim to give back to the community that has given so much to us all and to use our dance to inspire a new generation of dancer. What is the Bellydance Bundle? There are so many things to study when you’re a bellydancer, it’s hard to find a place to start. So many resources are available to you. It’s an amazing time to be a dancer, but also overwhelming. The Bellydance Bundle is a hand-picked compilation of top-notch guides, courses and programs designed to help you get the most out of your dance practice and level up your skills, both in front of the mirror, and behind it. Upon purchase, you will receive a username and password to the 2018 Redemption page. Here you will find instructions on how to access the products. As some of the products are online courses and non-downloadable, you will have to go to the contributor’s website to access them. You may need to provide information to our contributors to create a login for their online course, but you will not be charged anything extra on their sites. 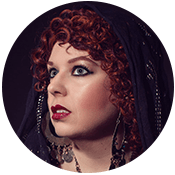 You’ll always be able to come back to Redemption page here on The Bellydance Bundle for a reminder on how to access your products once they’ve been redeemed! Keeping everything centralized for you to make it as easy as possible! Please note: All products are ELECTRONIC. You won’t receive any physical products in the mail. You will be treated just like any other customer on our contributor’s sites. This means that once redeemed, you will have the same access permissions as if you had purchased from the contributor directly. For most of our courses, that means that once you have redeemed your product you have access to it as long as the contributor has the product available online. However a couple of our items this year are have expiration dates, after which they will no longer be visible because they will not be available forever to anyone, not just bundle purchasers. For these items, you will receive multiple reminders about regarding the dates to make sure you take full advantage. Items with limited availability are clearly marked in the What’s Included section with a **Has Expiration Date** beneath the description. We do suggest going through the Bundle and signing up for all of the courses when you first receive the bundle to avoid any hassles redeeming courses later on due to expired coupon codes or website changes that make the instructions included invalid. Should you miss a listed deadline that is not for the limited availability items, please forward a copy of your receipt to the contributor and ask to be added manually. You have up to 1 year to redeem your products, after that, it is at the contributor’s discretion. I mainly dance in _____ style, will this help me? YES! Cross training is vital to being a great dancer. While you don’t have to excel at or become a professional in all the difference styles of bellydance, each style has its own unique offerings that can improve your practice in your own personal style. Breaking out of the mold and learning from each other can only bring us all to new heights in our dances, allowing us more freedom to choreograph and improv as the music dictates, with less and less barriers of technique in the way. Maybe you’ll never use that particular hip movement in your dances, but practicing it will give you the muscle strength and control to do that OTHER movement you’ve been trying to do for ages and just couldn’t get down. Or it’ll provide the sharpness, or the ability to layer a walk on your other moves as you cross genres and learn from dancers on all parts of the bellydance spectrum. I’m a super beginner/intermediate/advanced/professional bellydancer. Is this bundle suited to my level? There are items here that will cater to your level, regardless of what it is. While some products are aimed mostly at beginners turning intermediate, or advanced dancers starting to dabble in the world of gigging and teaching, the majority of products are beneficial to you REGARDLESS of your level. We’re all perpetual students. Always looking for new drills, better technique, more history, and a better understanding of our dance. This bundle provides you with the tools to enhance your home practice in the areas you feel it needs it most so that you can continue to develop and refine your own personal style. Sometimes it’s good to go back to the basics. And other times you just want that thing that’s going to break your brain. You’ll find both here, along with your Goldilocks sweet spot, no matter how many years you’ve been dancing. I don’t know if I have the time to actually use this! We know everyone is busy, that’s why we created our 21 Day Practice Plan to get you in the mindset of creating your consistent dance habit. 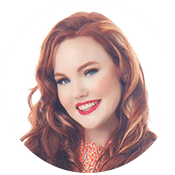 As a purchaser of the Bundle you’ll get access to an exclusive facebook group where we’ll coach each other through all the items in the bundle. You’ll get email reminders to keep you on track, and we’ll always be here to be your accountability buddies. Even one lesson a week or a month from this bundle will have a profound impact on your dance, as you’re doing dedicated practice. You’re not just jamming around your house (which totally has value), you’re actively working on the things that will make your dance better. Plus, since all these products are online, you’re able to work at your own pace. Filling in classes between your choreography practices for the studio, or during the week when you’re not out gigging all weekend. Why is it only available for 7 days? Due to the extreme nature of the discount we’re providing, that’s all our contributors would allow! Each product is for sale on our individual contributor’s sites, often for a much higher price than you’ll be able to get it for here. Luckily we’ve convinced everyone to let us sell them cheaper, but only for a limited time! If I don’t buy the Bundle now, will I have another chance later? No. Once the sale is over the bundle is gone for good. What if I already own one of the products? Then you know the level of quality that’s in the bundle! No further discounts on the bundle can be given due to the level of discount being provided. You will receive the newest version of the product you already have plus all the other products listed. Even if you only use a fraction of the products in the pack, we’re confident you’ll get your money’s worth! Why are you giving such a large discount? Is this a scam? 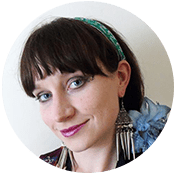 All of the contributors to the Bellydance Bundle know first hand how hard it is to get started as a dancer, and how hard it can be to make it a full time job. But we also know how rewarding it can be. We want to help as many people as we can down the path to becoming better dancers, better students, better teachers, and better performers. That’s why we’ve come together to offer our products at a discounted price! All the courses available here are also available for sale on our contributor’s individual sites and are real products. We’re not trying to trick you. Can I buy just one of the products? If you’re only interested in one of the products in the bundle, you’re welcome to head over to the contributor’s site and purchase it directly from them for full price. However here, all products come together and can not be sold separately. Can I download this to my phone or tablet? Yes, you can. However, since the files are all bundled up in a single Zip file, you may need an app that opens Zip files. Check out iZip for iPhone or WinZip for Android. We’ll also include instructions in the email that comes with your Bundle to make it easier. If you’re still having trouble accessing the products on your phone or tablet, we recommend downloading it onto your computer, unzipping the file, and then transferring the individual products over to your device. We don’t give them. 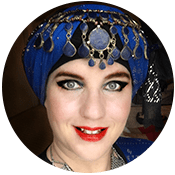 Due to the nature of The Bellydance Bundle – the amount of people involved and the incredible discount given (over 80%) we do not offer any refunds. When putting together The Bellydance Bundle, we only reach out to the best of the best in their respective fields, and we personally vet each and every product and contributor. We can confidently say that even if you only use a fraction of what’s in the Bundle, you’ll get more than your money’s worth. Is the payment secure? Can I use Paypal? Our site is secured with an SSL certificate and our distributor works diligently to secure your credit information. Even we do not have access to see your payment information. Why isn't _______ dancer included? Now, we hardly know all the dancers not only in the US, but around the world, so we’re sure many awesome dancers with great products were not contacted this year. Hopefully, we’ll be able to get them into future bundles as online study becomes more and more commonplace within our field. Which we firmly believe will be the case over the next several years. As you can see from the number of products included this year, it’s already started to happen. We do ask around for dancers with excellent products and try to be as inclusive as we possibly can. If you have an idea for someone who should be contacted to be part of The Bellydance Bundle this year, or in any future year please reach out to hello [at] thebellydancebundle.com and we’ll be sure to check them out! We appreciate any and all recommendations! Where do you get your ad images? We use photos from a variety of sources! Some are free stock photos with appropriate credits, others are paid for. However, there’s not a lot of great bellydance stock photos, so we’re taking it a step further and have asked some dancers if they would be willing to be featured as an ad for The Bellydance Bundle. In these cases, photographers and dancers have been compensated per their requests and links are listed below. Fill out our contact form and we’ll be happy to help!